Poland has the highest percentage of second births of any EU country, according to Eurostat figures for 2017. Overall, Poland had the 5th highest birth rate in 2017 with 401,982 new births. According to the latest data published on March 12th, the number of second births in Poland was almost equal to that of first births. 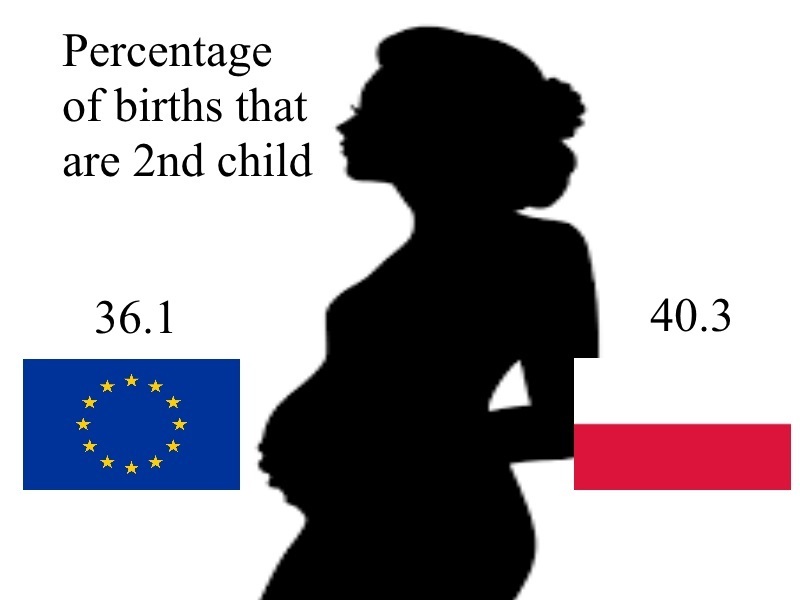 Poland was the only EU country with over 40 percent of its new births being a second child. The percentage of children being the third born was 12.2 percent and the fourth or more was 4.3 percent. During 2017 there were 173,394 new mothers with a mean age of 27.3. Poland had a low rate of teenage pregnancy with the vast majority of first births, 62.5 percent, being delivered by women in their twenties. 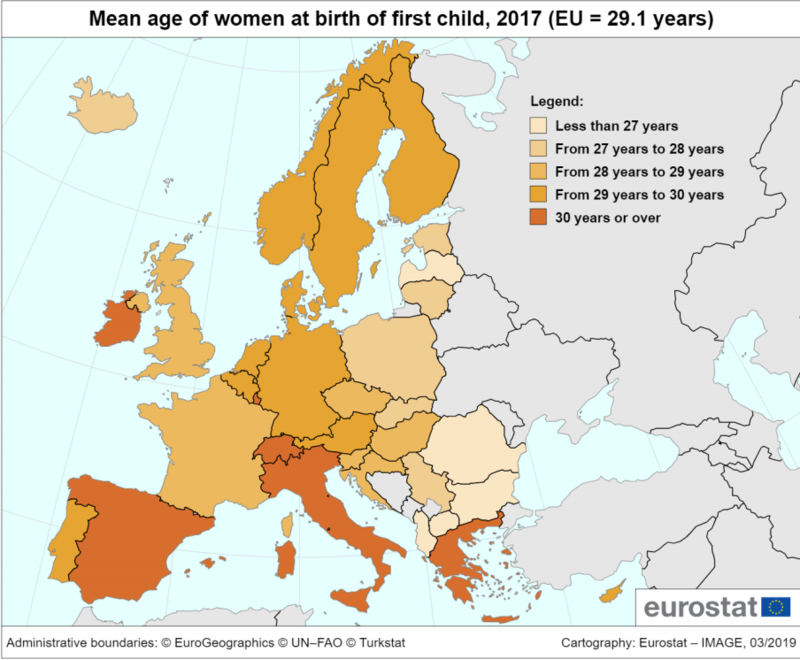 On average, woman in Poland are having their first babies in their mid-to late 20s.EurostatThere was also an extremely low rate of first births for women over 40, only 1.1 percent. This was joint second lowest in EU countries, behind only Albania and Lithuania. There was a total of 5,074,875 births in 2017 in the EU which is a slight decline from 5.47 million births in 2008. Recently the Polish government announced plans to extend the 500+ payments from July 1st 2019 to include the first born children.